Fleet Captain Sidney Riley is 7/8 Terran and 1/8 Deltan and while she does have Deltan pheromones in her system it’s not enough to give her problems interacting with others or require her to take the Deltan Oath of celibacy. She was born in New Orleans, Louisiana in 2350 and is ten minutes younger than her older, identical twin sister Shannon. Sidney’s family has a complicated, troubled past and she grew up on star ships until the age of six. Disaster struck the family that summer when a shuttle carrying Sidney’s father Ryan and twin Shannon encountered an unexplained anomaly. The ship disappeared and both of them were declared missing. Sidney was raised by step parents on Vulcan until the age of 15 and had a difficult time making the adjustments to life there, refusing to conform to their practices and beliefs. Events came to a head when she stole a shuttle and attempted to escape back to Earth. She was caught and taken before the council on Vulcan to answer for her actions. Her step parents did not support her during this time, but one of her father’s best friends Doctor Michael Mitchell did. She was let off and was on her best behaviour for some months after the incident but trouble broke out again when she went on a hunger strike. The family finally relented and let her return to earth, there she finished high school and decided to go into medicine through the influence of Doctor Mitchell. She completed her medical degree before deciding to enter StarFleet Academy. Fleet Captain Sidney Riley has had a long and successful career with many personal and professional ups and downs. She has experienced love, heart break and the loss of an unborn child. She has provided medical aid and relief during times of conflict. She has fought and survived tough battles including the Gorn Conflict, the first and second battles of Eratis and Operation Bright Star to name a few. She has faced and conquered it all, risen through the ranks to become the inspirational leader she is today. 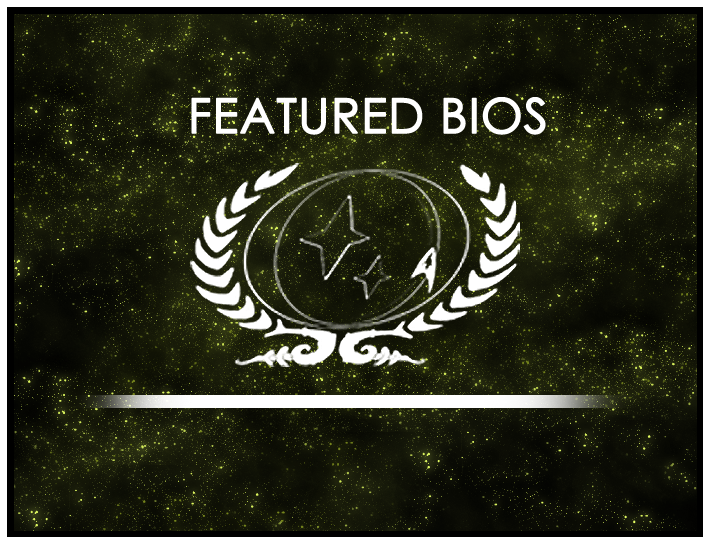 Her career has spanned 9 years and seen her serving on three ships and a station during her time in the fleet – the USS Wallace, the USS Independence, the USS Tiger and Starbase 118 Ops. Fleet Captain Sidney Riley’s bio will be displayed on the wiki’s front page for the month of June. As always, you can find out more about the contest at its wiki page or in its forum. Round 13 is now open, so be sure to drop by and submit your own nominations! Final round of the Feature Bio Contest!